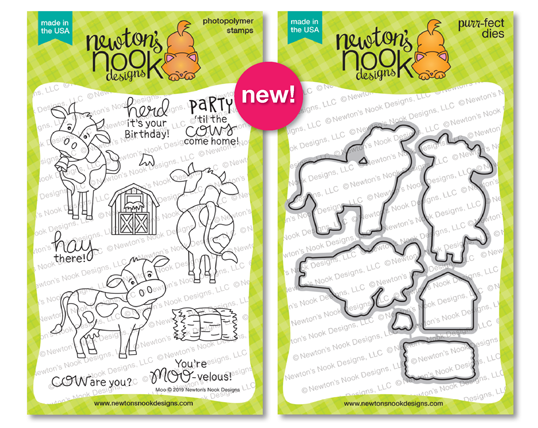 Hollybeary Creations : Newton's Nook Designs April Release Day 3! 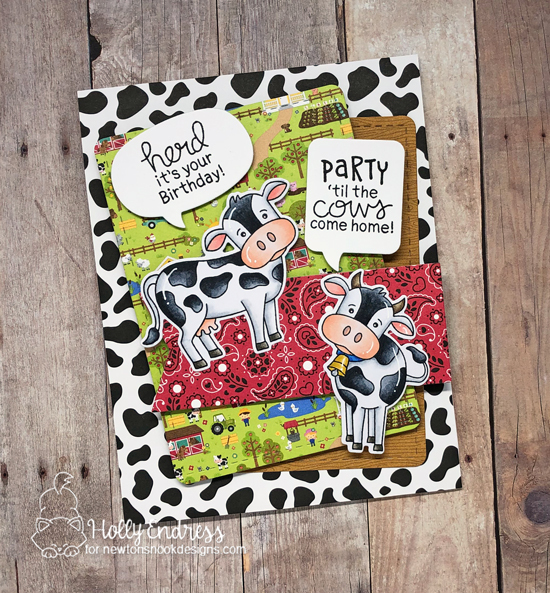 Perfect combo with the Doodlebug Farm paper and darling cows! I love all the patterned papers and including the speech bubbles around those adorable cows! Oh my....I'm absolutely in loooove. Your card is amazing and this stamp set so darn cute. Love your card. I really like how you arranged your card. That little bit of red just makes the cows stand out. I really love how you designed this card! It really makes me feel like I'm in the country. I just love the moo set. Can't wait to get it myself so I can make some cards! Your card is totally amazing!!! Gorgeous and funny layout!!! Great use of patterned papers! Cute cows and love the cow print and bandana print papers. Oh my gosh! LOOOVE all those FAB patterned papers (seriously, how perfect are they?!!) you used and how beautifully you colored these cute cows. You sure know how to rock that white gel pen too - I have to learn how to use mine more effectively/correctly. Spectacular card! Fun card! Love the papers! 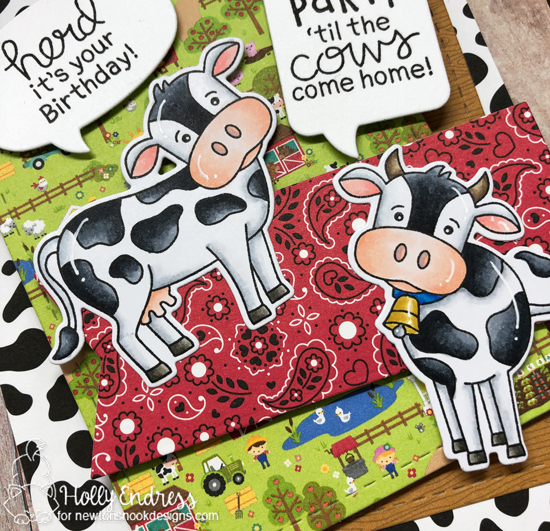 The cows and sentiments are adorable! Fabulous card, love your creation. Such a great set! Love the paper you used! That pattern paper could not be more perfect with those cows!